Simon Says A Bit of Green! This week the challenge is A Bit O’ Green! 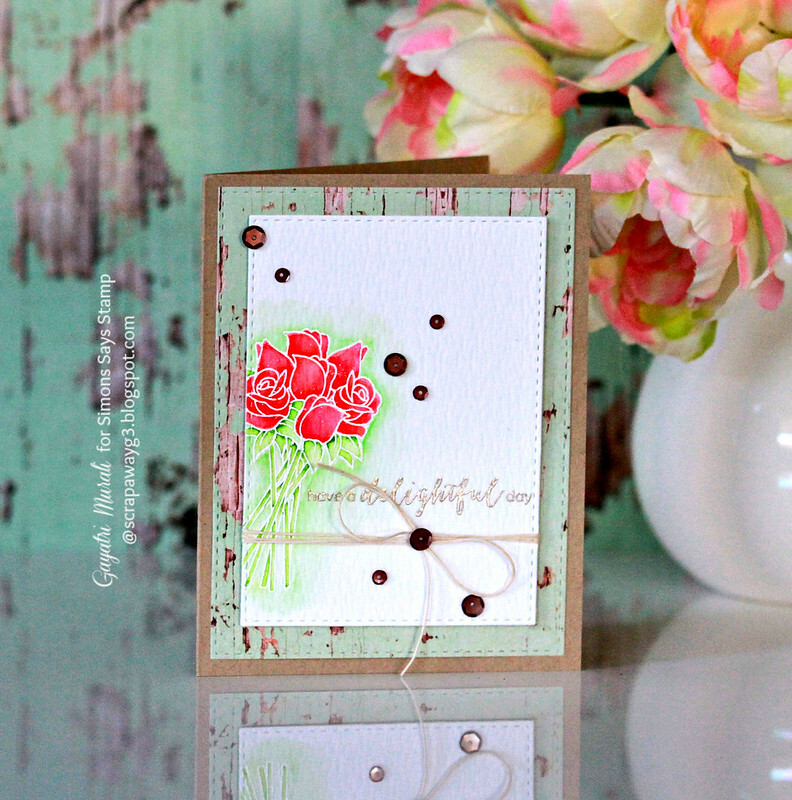 This is my take on the challenge using Delightful Day Stamp Set from Clearly Besotted Stamp set! I white heat embossed the bouquet of roses from the stamp set and watercoloured using Zig clean brush pens. I also added some red glitter using Spectrum Aqua glitter pen. To keep with the theme of the challenge, I added green colour wash around the bouquet. The sentiment is heat embossed using Liquid Platinum embossing powder. I die cut this panel using Simon Says Stamp Stitched Rectangle die, wrapped natural twine around the panel and layered with another stitched panel die cut using pattern paper. Finally embellished with Pretty Pink Posh’s Espresso sequins. I mounted the layered panels on kraft card base. I love green and kraft colours together. Give a very earthy and organic feel to it. A gorgeous Gayatri, a beautiful water coloured roses and with a pretty sentiment and twine!! Love this sweet rose bouquet against the plank background, just gorgeous, Gayatri! 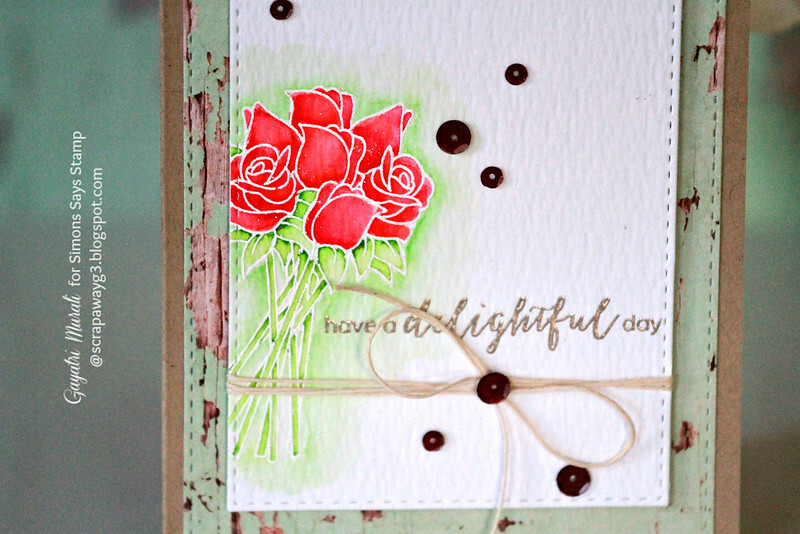 The white embossing with the watercoloring… GORGEOUS! !